Most brands of enuresis alarms say that it takes several weeks – from 3 to 4 weeks – before you see progress on your child’s bedwetting problem. Without a mattress protector, you’d have another situation to deal with (i.e., urine-smelling mattress, stained foam, or damaged bed frame). That said, here’s our Sures waterproof mattress protector review. What can you expect from this product? Is it any good? Read on to find out. 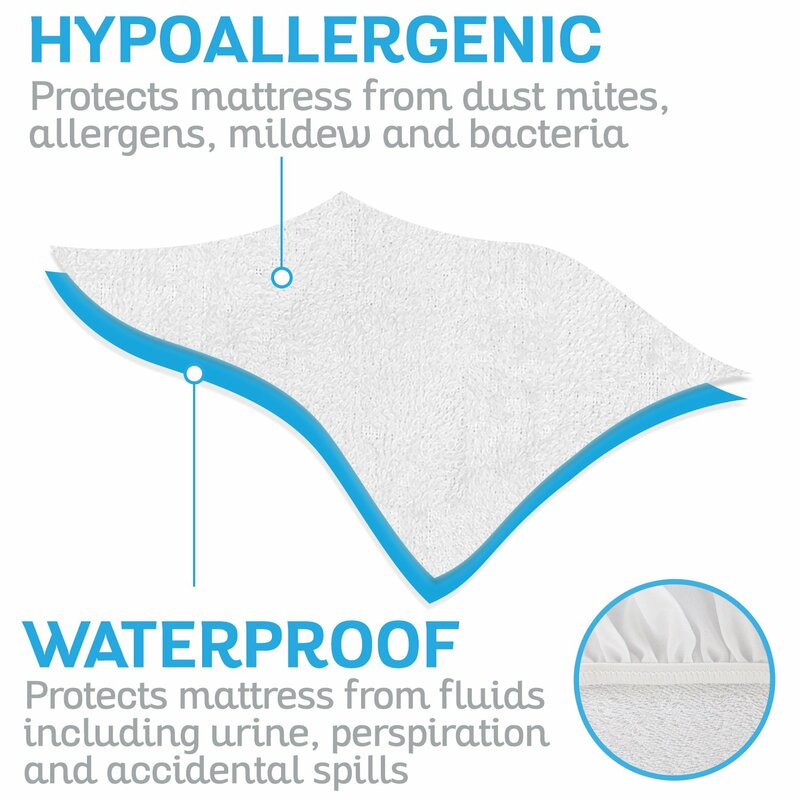 Let’s have a quick rundown of the top features of this mattress protector. – Completely Waterproof. 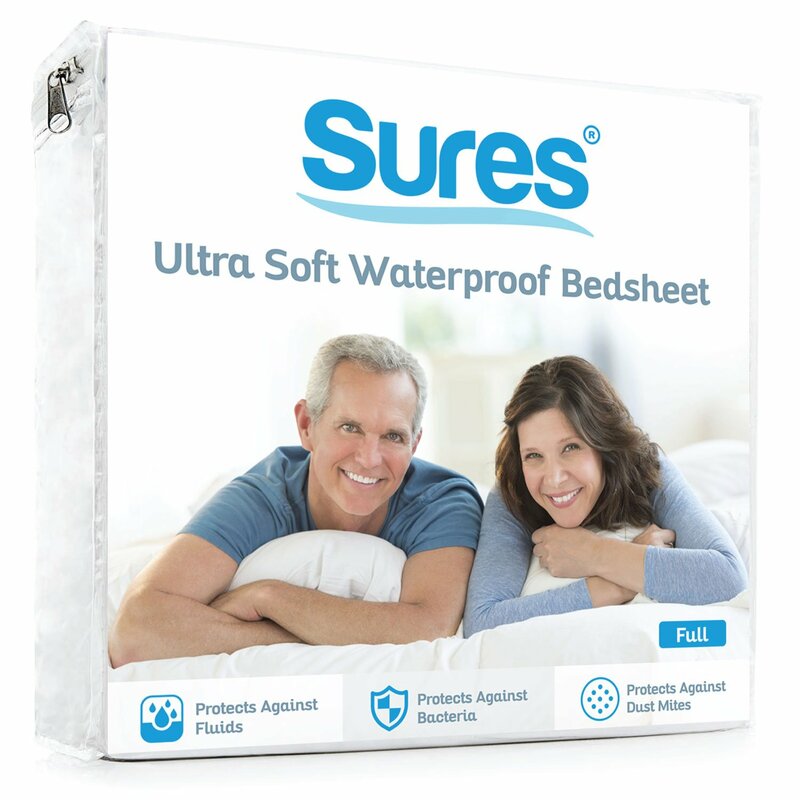 Every surface of this mattress protector from Sures is covered with high-quality waterproofing that serves as an effective guard against urine, water, and sweat. Buildup of bacteria, molds, and other harmful microorganisms is prevented. – Comfortable. This mattress protector is made of a breathable knit surface, which should be cool and comfortable. – Noiseless. Say goodbye to crinkly noise. This protector is super quiet even when your child moves a lot. – Machine Washable. The good news is that this mattress protector is washable, and you can throw it into the laundry machine. Not only is it good for the environment, but it also saves you money from frequent replacements. In this part of our Sures waterproof mattress protector review, we give you what previous buyers have said about this product. – Performance. The Sures mattress protector is not just useful for when your child has bedwetting problems. It can be used in different situations as well. For instance, you can use it when a family member is sick. One person said this product was a life saver when her child was sick and vommitting. Does urine or liquid soak through to the mattress? Although not everyone agrees, the general feedback is that it doesn’t. Plus, the liquid on top doesn’t pool either unlike the vinyl-type protectors. – Usage. This protector is super thing and it’s very easy to use. It slips on or off any type of mattress or foam quickly, so making the bed should not take a long time. Several previous buyers are impressed that the corners are deep enough so it stays on no matter how much movement a person makes. – Surface. The surface has been described as “slippery.”. If you’re looking for one that’s made of terry cloth, then this protector is not for you. Based on consumer feedback, the Sures mattress protector works as intended. 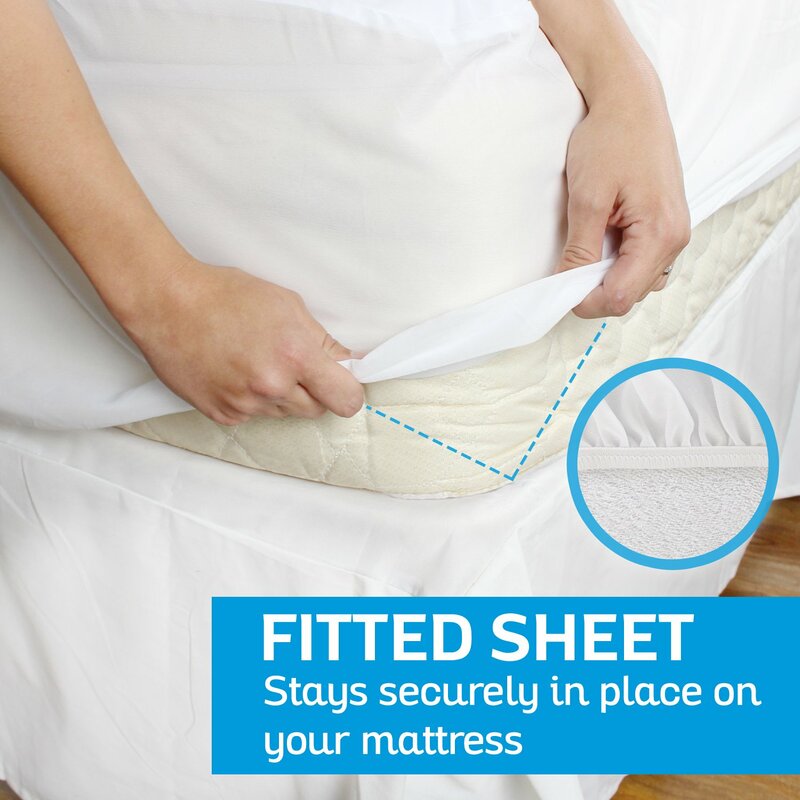 It helps protect your mattress and foam by guarding it against urine, sweat, and water. But it’s not a perfect product. Some people say that it works really well for small leaks but not for serious bedwetter. What’s the Best Bedwetting Alarm On the Market? Pampers UnderJams Reviews – Hit or Miss? Bedwetting Solutions HQ is a participant in the Amazon Services LLC Associates Program, an affiliate advertising program designed to provide a means for sites to earn advertising fees by advertising and linking to Amazon.com. Also, certain content that appears on this site comes from Amazon Services LLC. This content is provided "as is" and is subject to change or removal at any time.